xMatters helps you prevent issues from becoming major incidents by sharing information and communications between teams and integrate your DevOps tools. 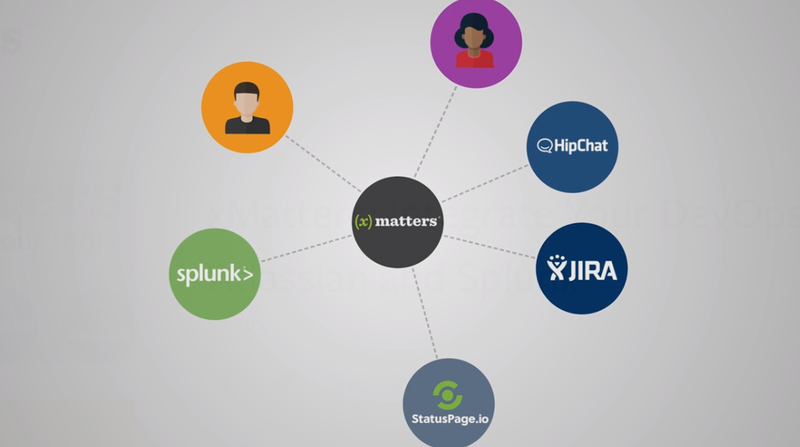 By integrating seamlessly with Splunk, Jira Service Desk, and Statuspage, xMatters helps you optimize DevOps processes and resolve incidents faster. 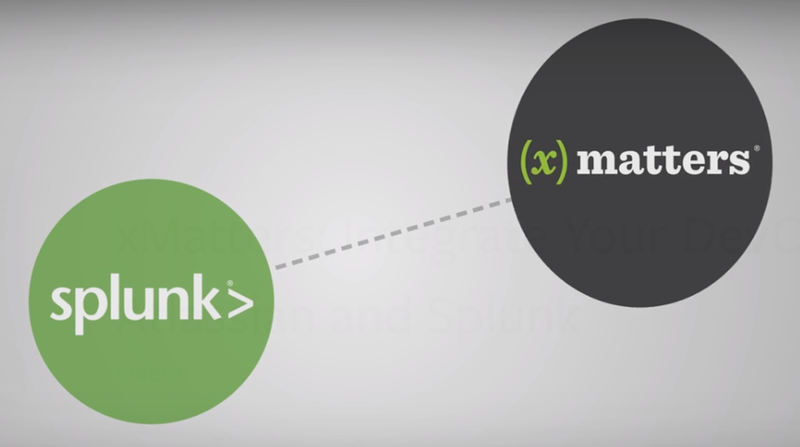 When Splunk uncovers a socket exception in an application log, it triggers an xMatters integration, which sends an alert with error details to the application team. 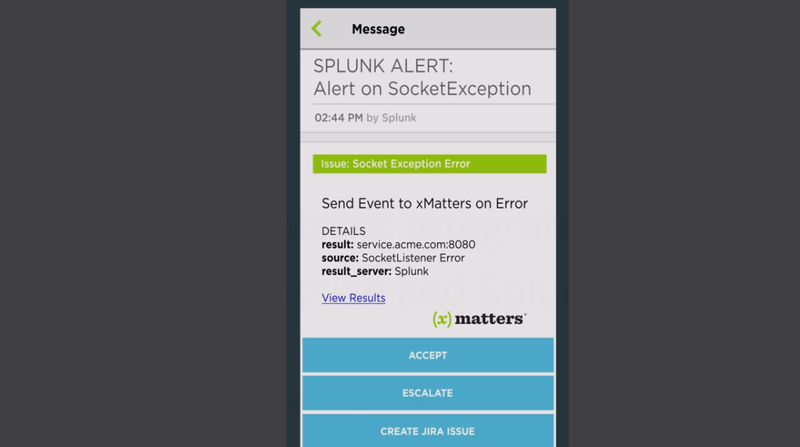 The xMatters mobile app alert comes with an option to automatically create an issue in Jira Service Desk. The Jira Service Desk ticket includes details and triggers another xMatters integration, this time targeting the incident management team. The xMatters scheduling system checks who’s on call and sends them a notification. The incident management team uses xMatters to open a HipChat room and automatically update StatusPage to notify customers and other stakeholders of the issue. When the incident management team has resolved the issue xMatters preserves the HipChat transcript in Jira Service Desk, updates StatusPage, and closes the incident in xMatters. Buy moving data into the tools your people want to use, xMatters enables faster issue resolution and reduces downtime.